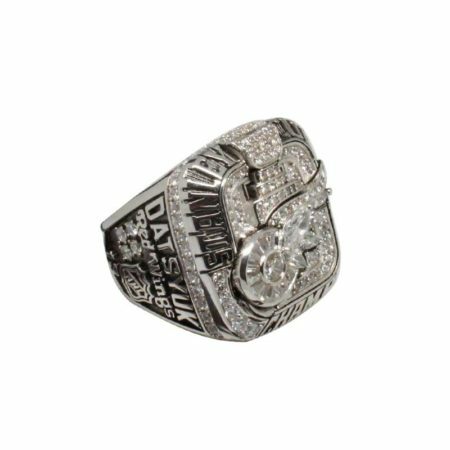 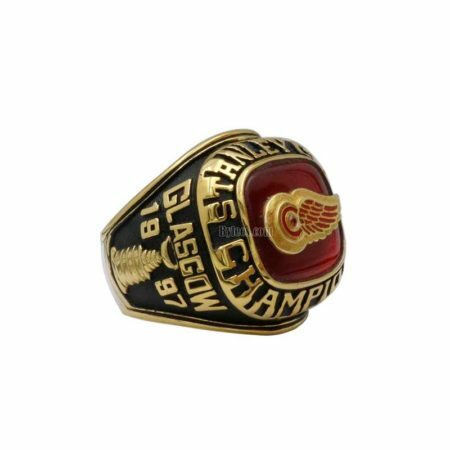 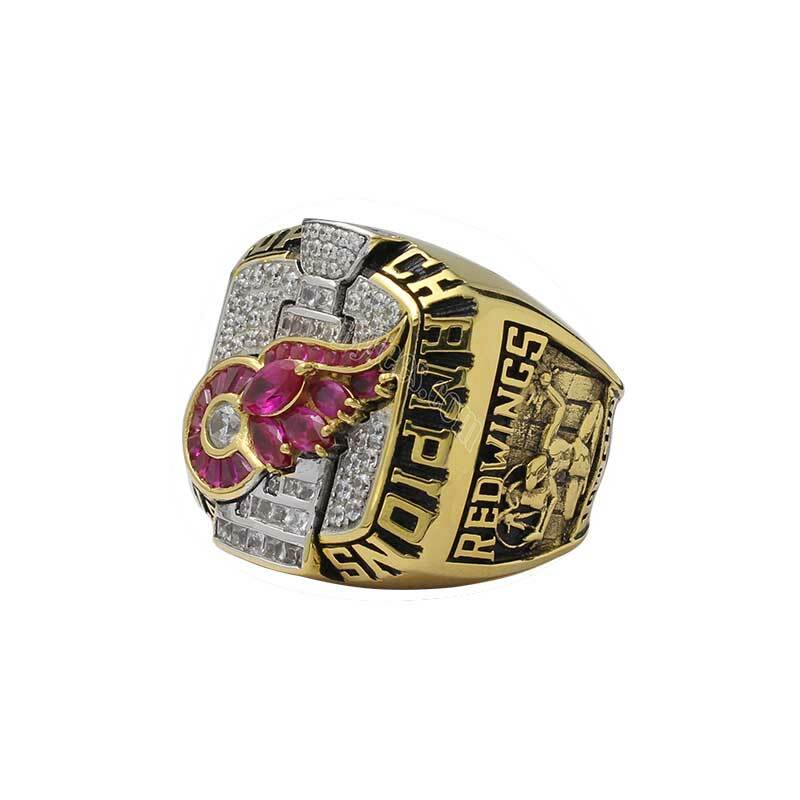 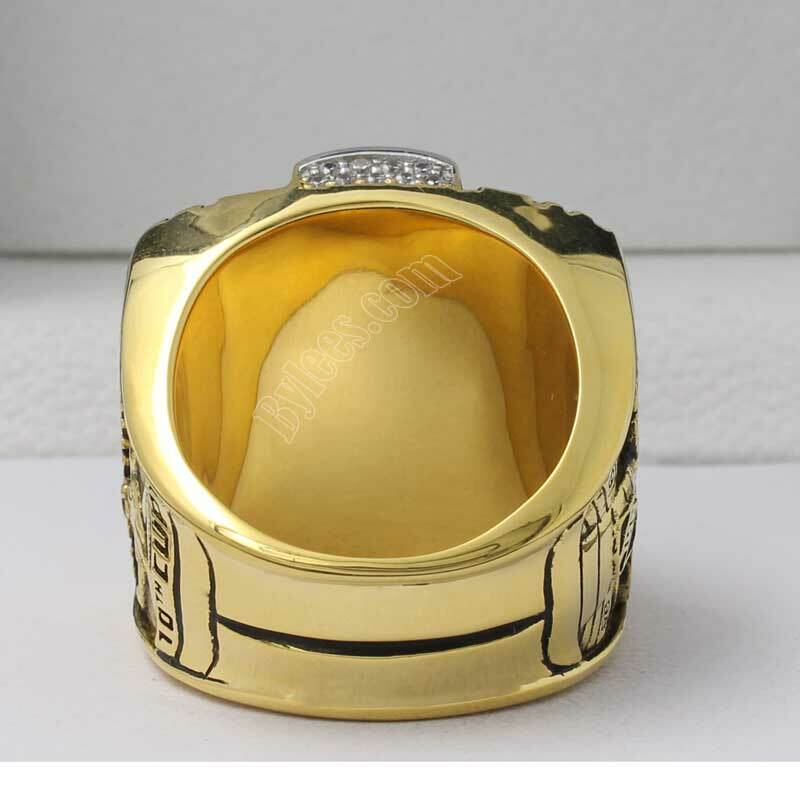 2002 Detroit Red Wings Stanley Cup Championship Ring commemorated the 2002 Stanley Cup Finals Championship in NHL 2001-2002 season. 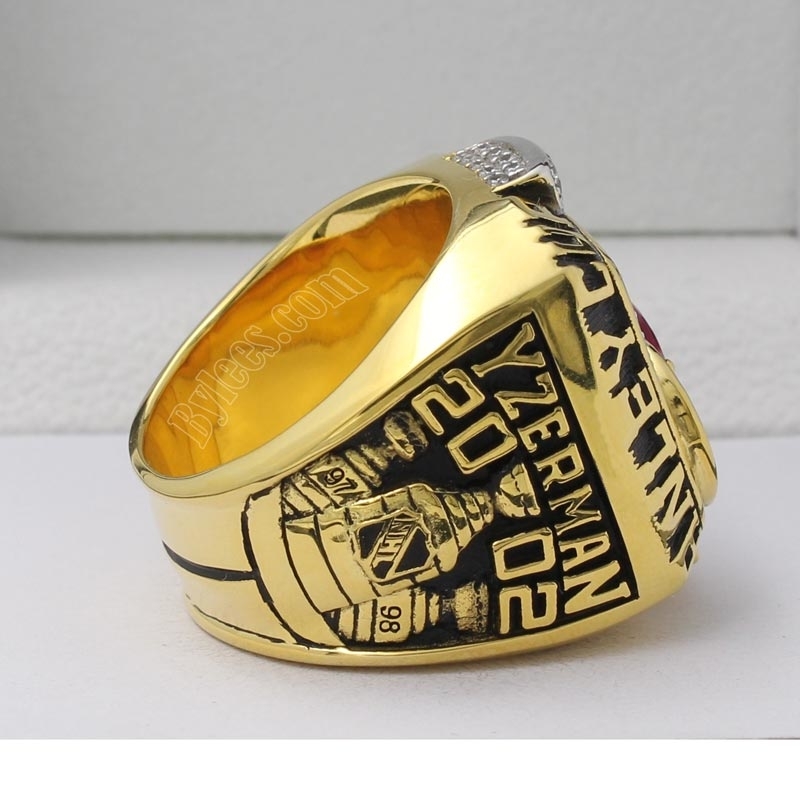 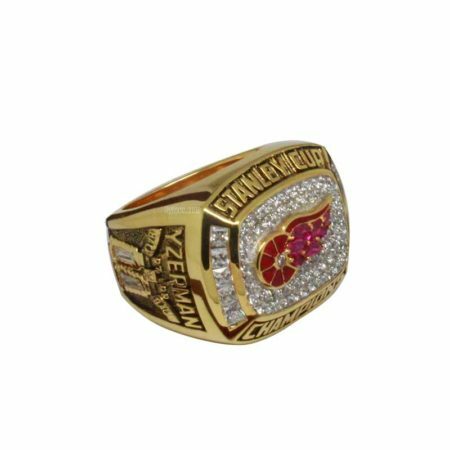 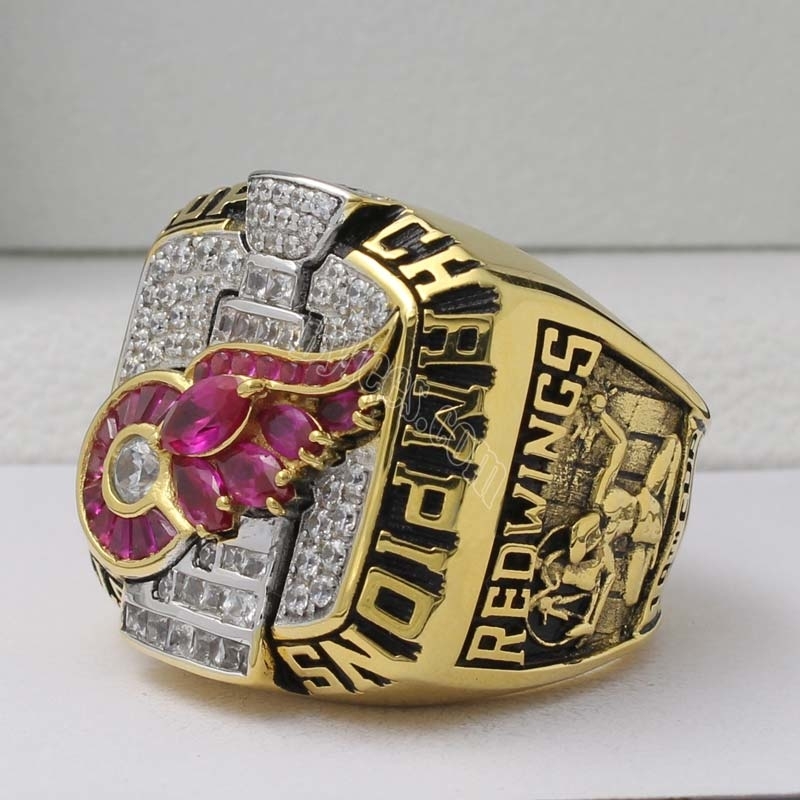 The Red Wings ,led by coach Scotty Bowman and Steve Yzerman, won the 2002 Stanley cup ring , which was the ninth stanley cup for Bowman as head coach (three of them are Detroit Red Wings Stanley Cup Championship Rings). 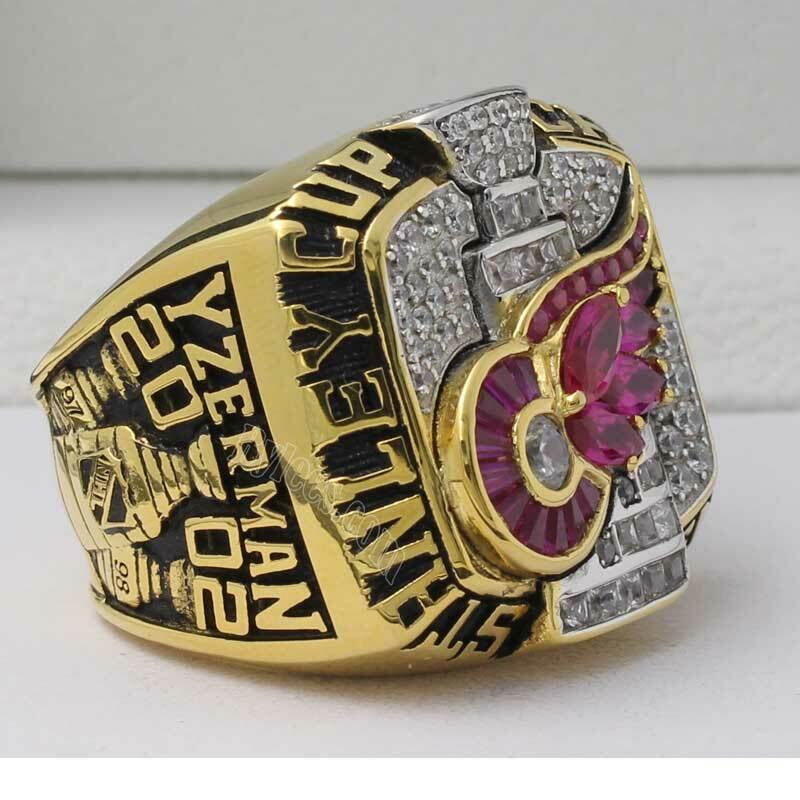 And for Yzerman, won his third Red Wings NHL championship ring as well, as rules the version here is the top quality copy of the 2002 Steve Yzerman Detroit Red Wings stanley cup ring, it was designed with a stanley cup together with the alternate logo, this is common in tradtional NHL championship rings, what really impressed fans was sides of this ring, the men from the ancient age, who seemed to seeking for good luck. 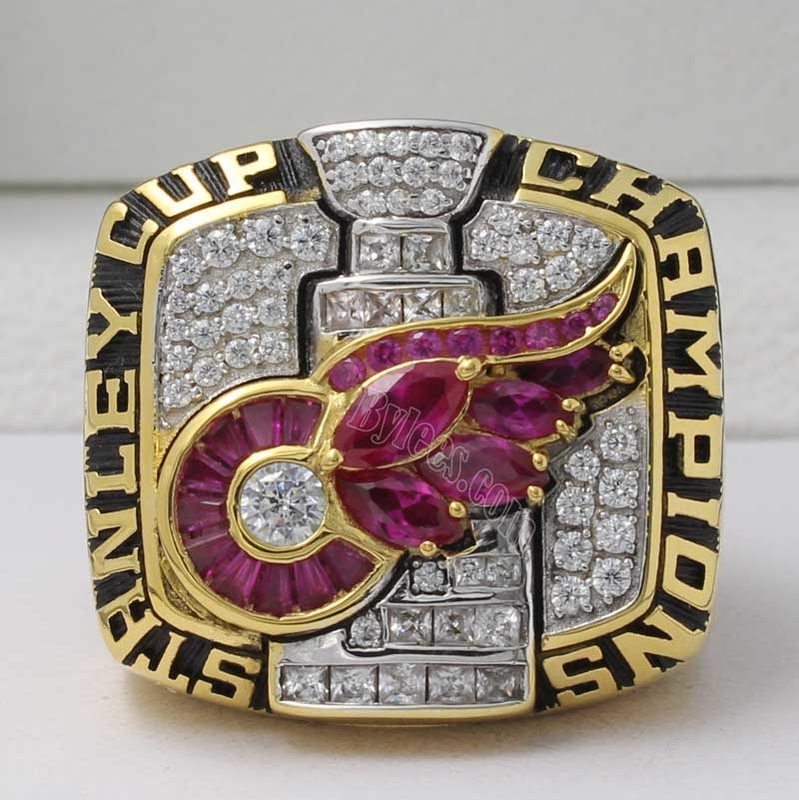 (just a wild guess, may not true), anyway. 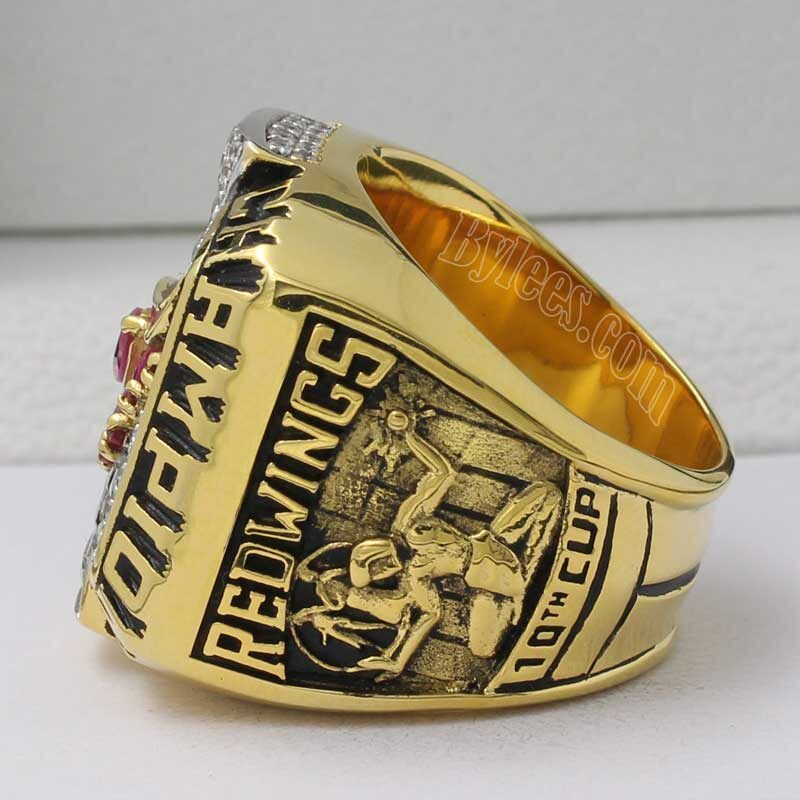 it was regarded as the best Detroit Red Wings Stanley Cup Ringso far.